What Does Northeast Home Loan Do With Your Personal Information? All financial companies need to share customers’ personal information to run their everyday business. In the section below, we list the reasons financial companies can share their customers’ personal information; the reasons Northeast Home Loan chooses to share; and whether you can limit this sharing. Does Northeast Home Loan share? 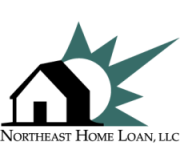 How does Northeast Home Loan protect my personal information? How does Northeast Home Loan collect my personal information? Our affiliates include our parent company, Passumpsic Bancorp, a mutual holding company and Passumpsic Savings Bank. Northeast Home Loan does not share with nonaffiliates so they can market to you. Our joint marketing partners may include: insurance, securities brokerage, credit cards, leasing, mortgage banking, tax preparation, fiduciary services, estate and financial planning, and investment management and advisory services companies.